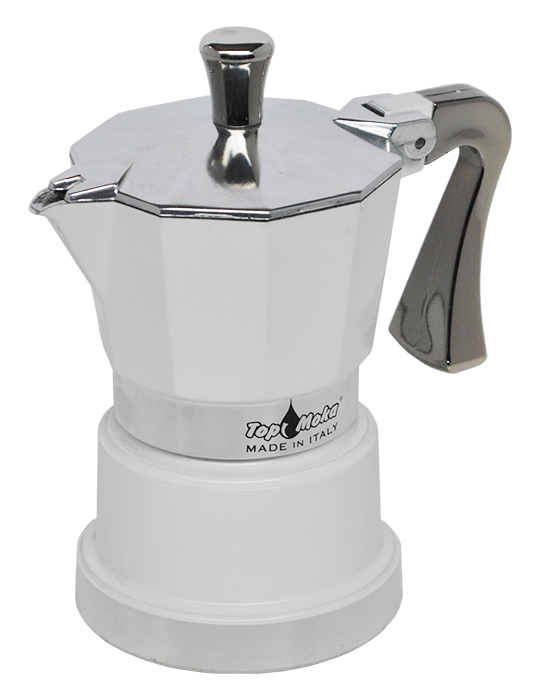 The Top Moka tale spins from the prestigious Italian tradition and offers real quality to real coffee experts. 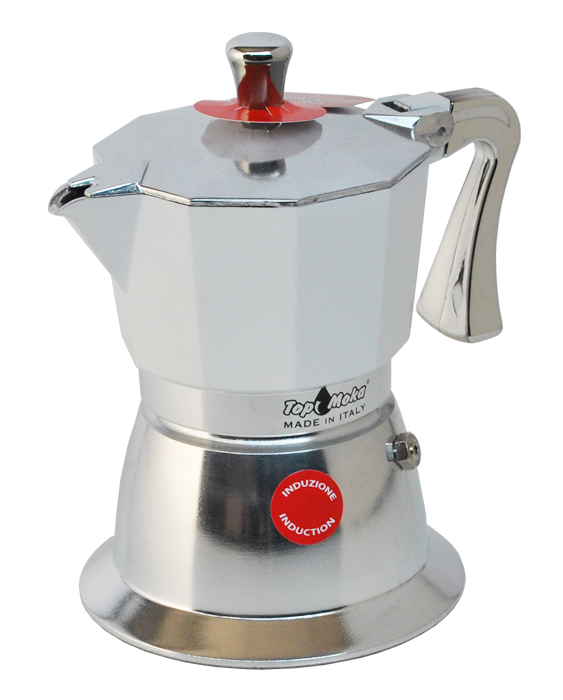 The "Top", in its classic style, is the most representative of its symbols. Super Top, the elegance of an exclusive coffee maker! 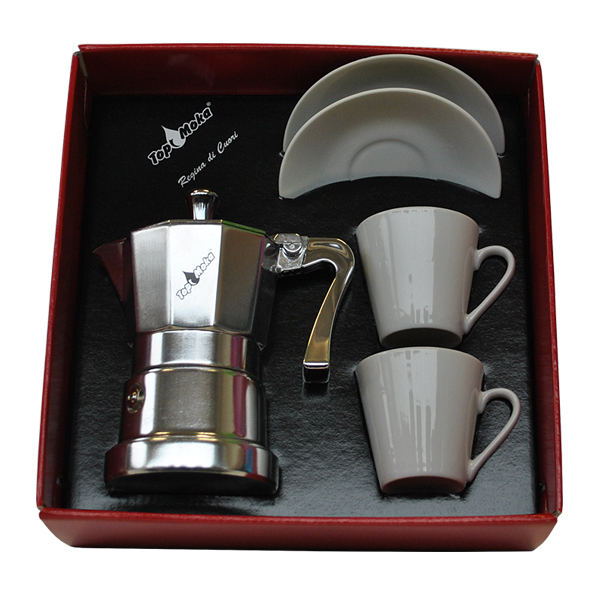 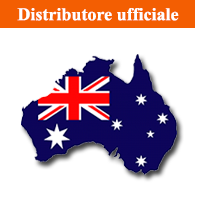 Designed for the preparation of a higher quality coffee, Super Top is made from raw materials of the best 'Made in Italy' prestige. 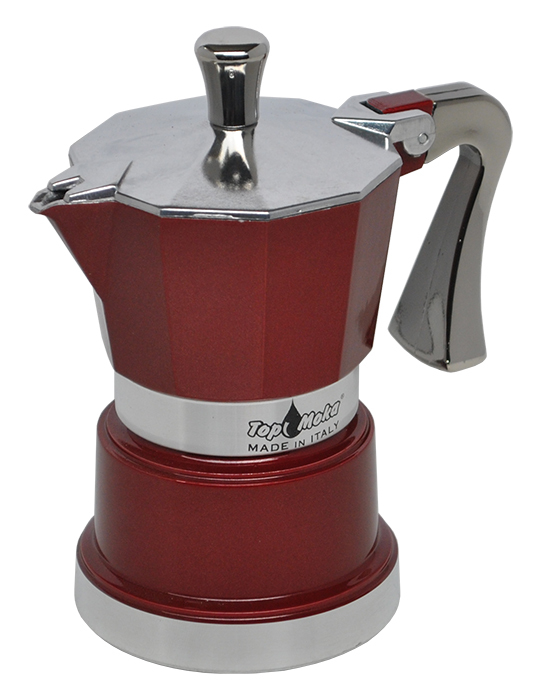 Even more than in the Moka 'Top Line' models, the specially treated double bottom, and the boiler heat-releaser, allow a smooth and balanced brew-oozing, making the best out of the coffee blend. 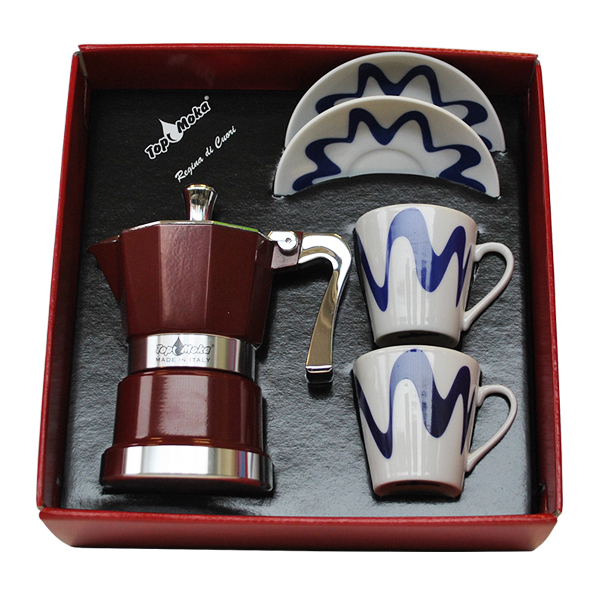 That's why the rich and intense taste of the coffee they yield. 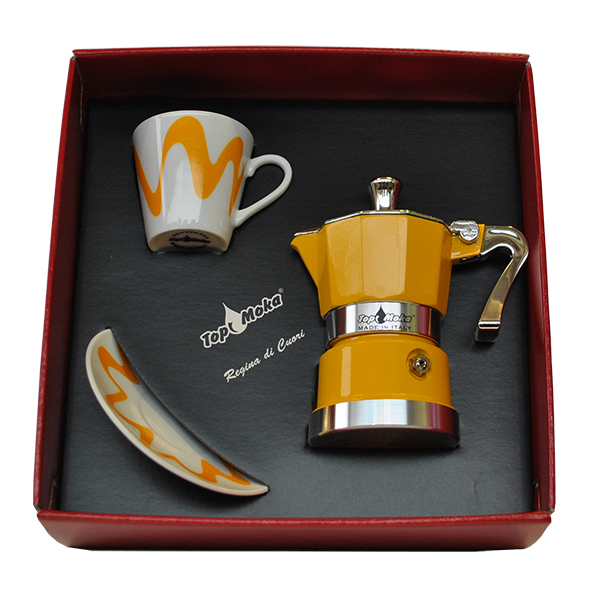 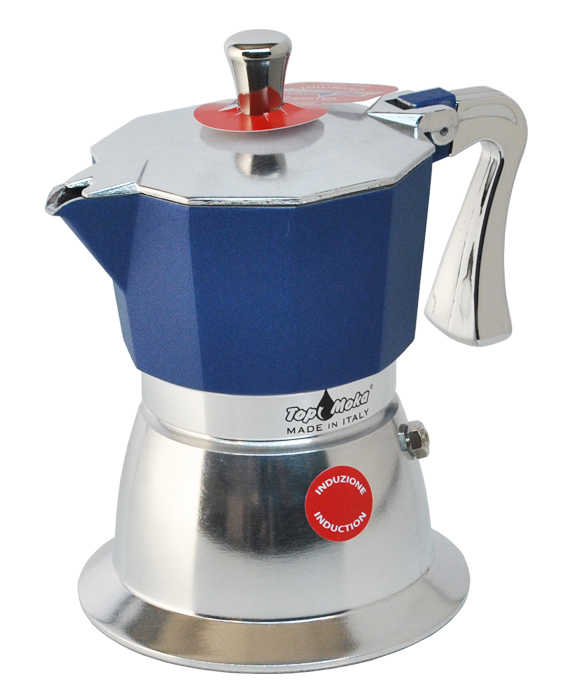 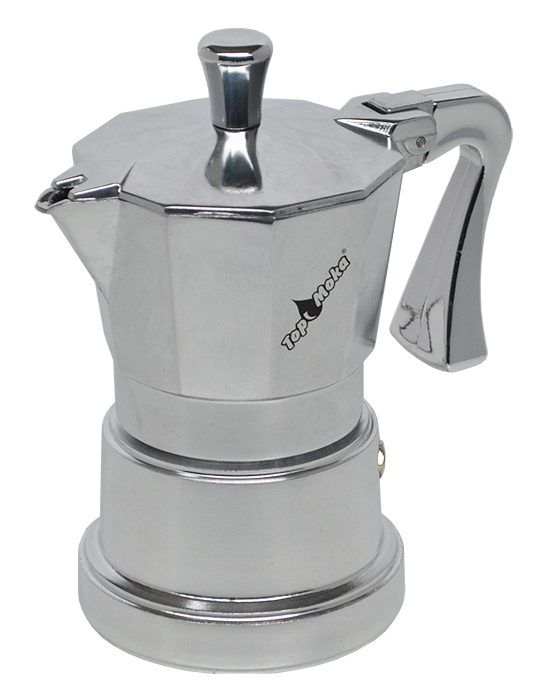 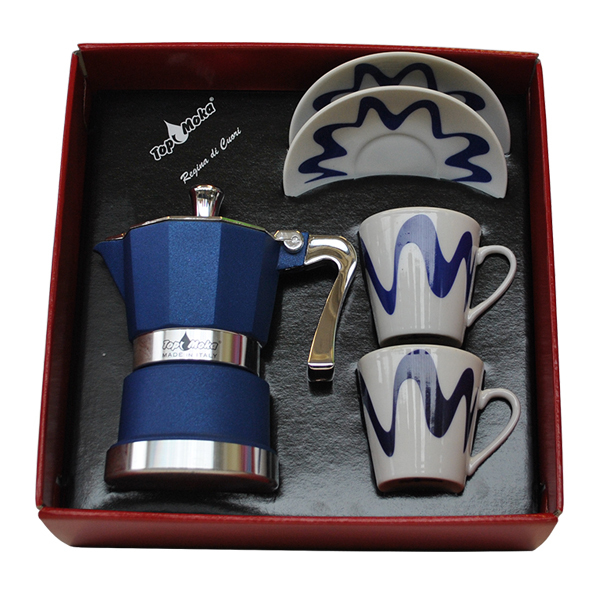 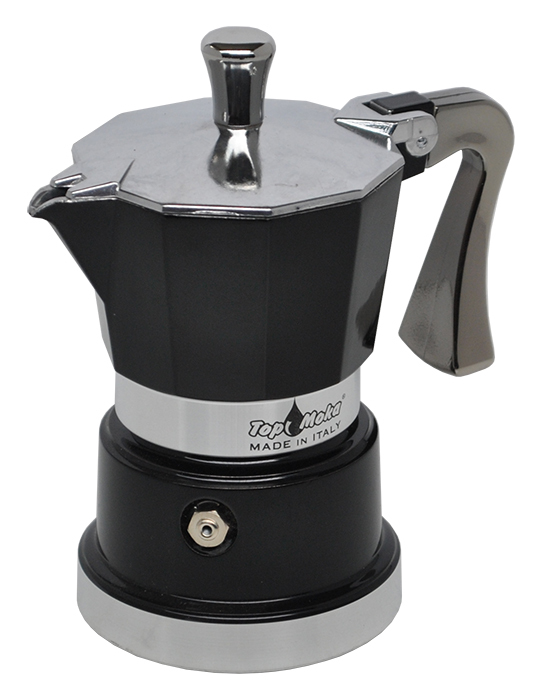 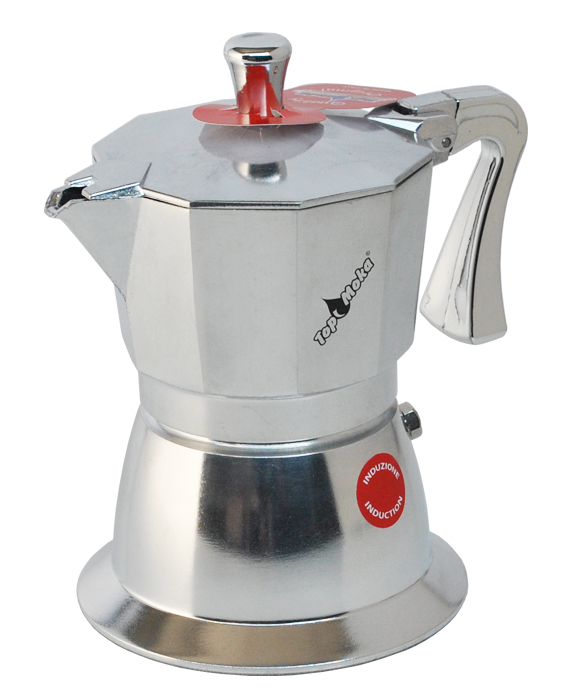 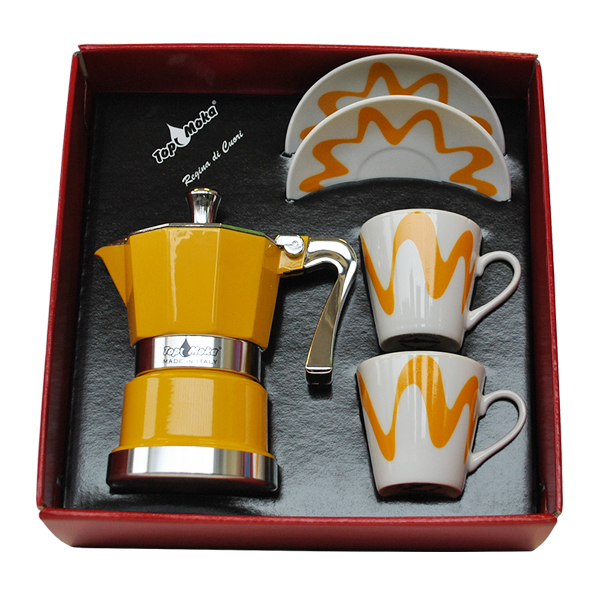 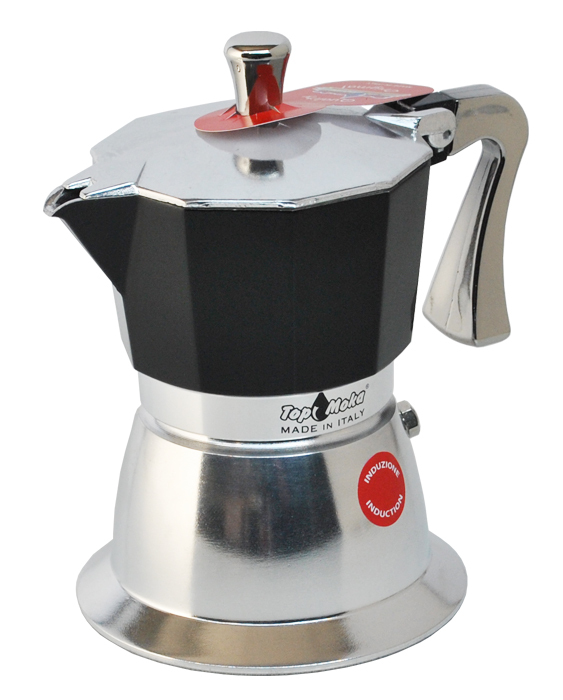 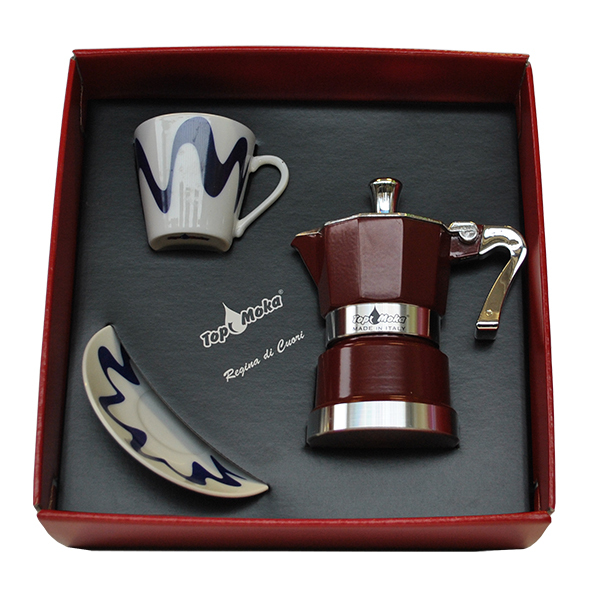 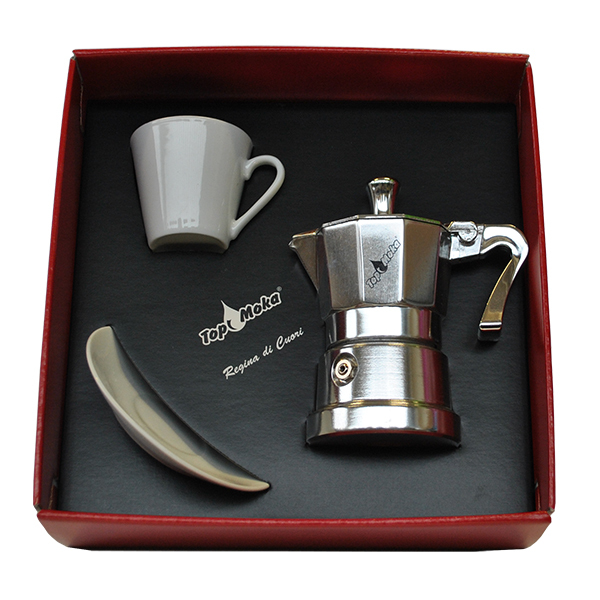 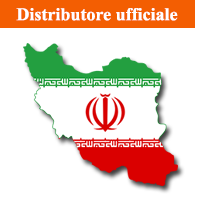 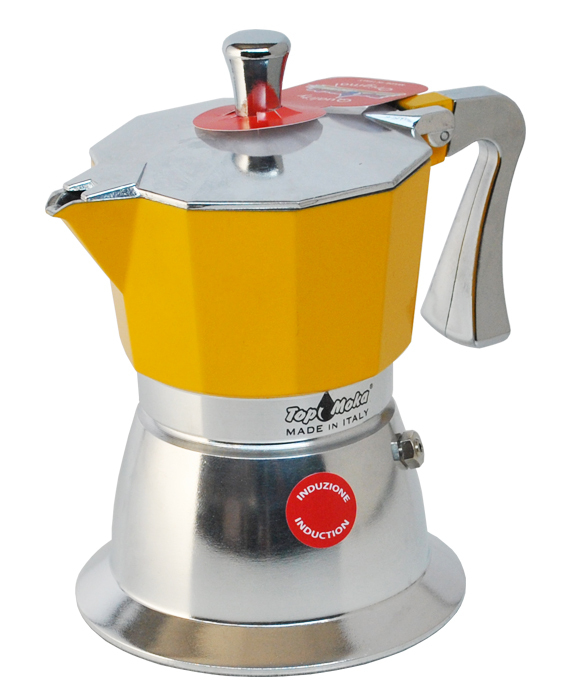 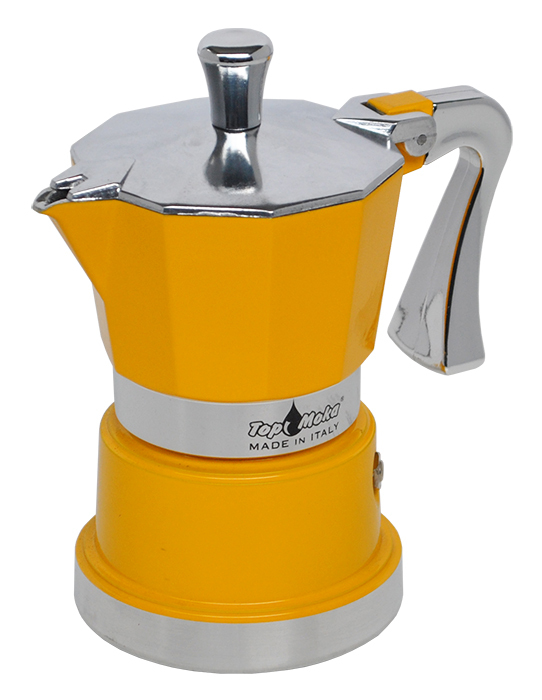 A peculiarity possible only thanks to the extreme craftsmanship of this particular Top Moka's product. 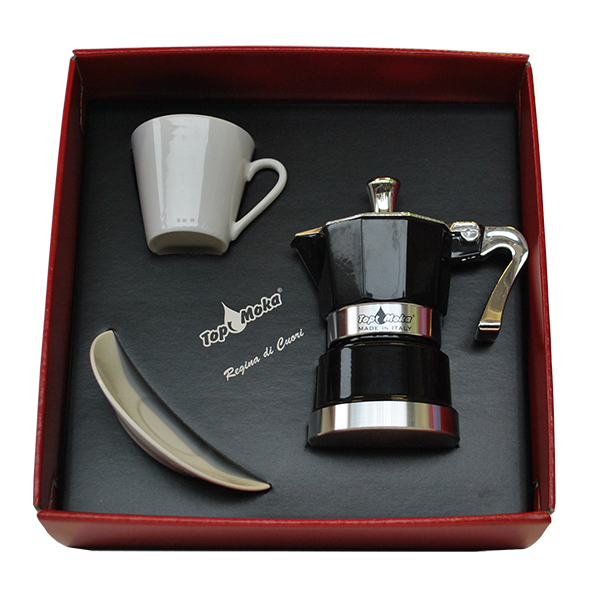 The rich details that single them out, such as the chromed knob and handle, a double bottom "diamondly" treated, make them models of a much higher level, for true connoisseurs of coffee or for a gift of considerable value. Inserted one by one, with meticulous attention, in fine white bags, to preserve their integrity, are subsequently placed in stylish boxes. Available in 1-2-3-6 cups sizes, in 6 different classy colours. Super Top the very best of Italian craftsmanship for those who want the true Mediterranean flavour, 'Italy' imprinted! Super Top, anche con fondo per piani ad induzione!